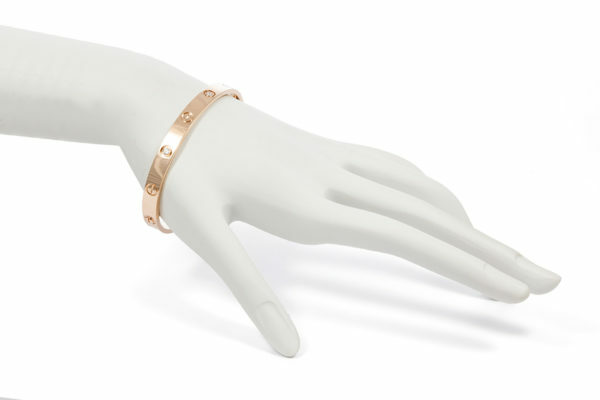 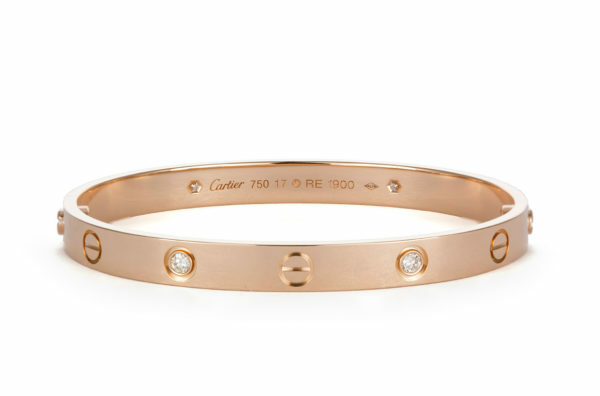 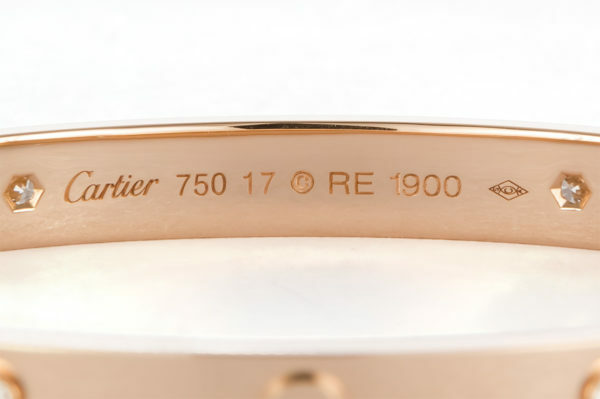 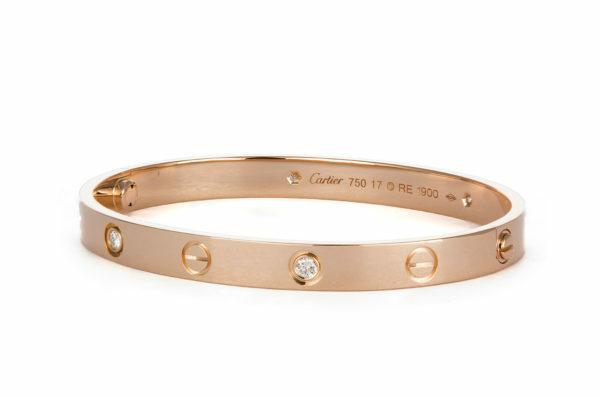 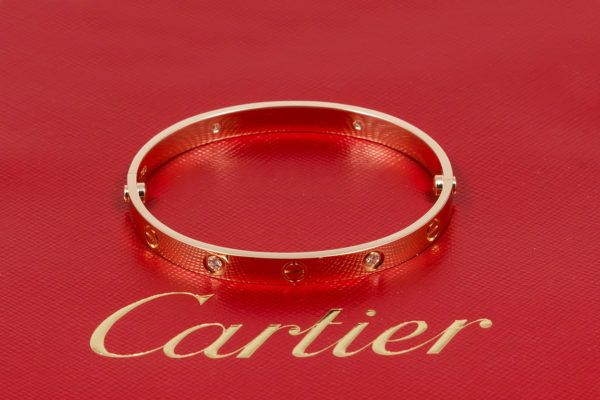 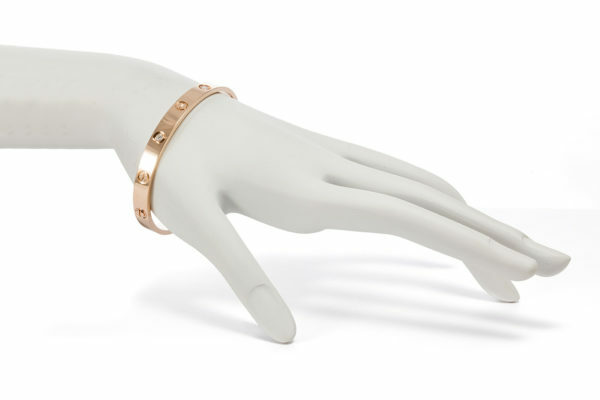 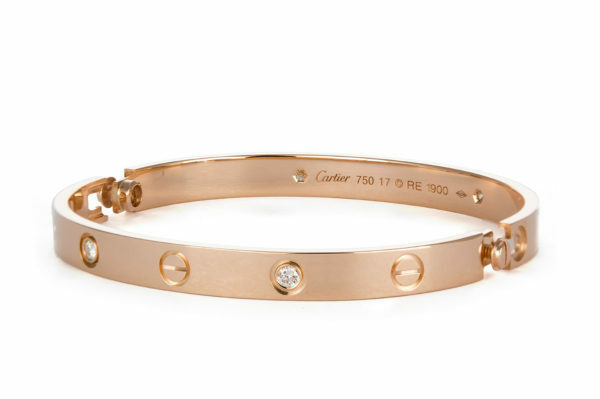 Ideal Luxury is pleased to offer this Authentic 2017 Cartier 18K Rose Gold 4 Diamond Love Bangle Bracelet Size-17. 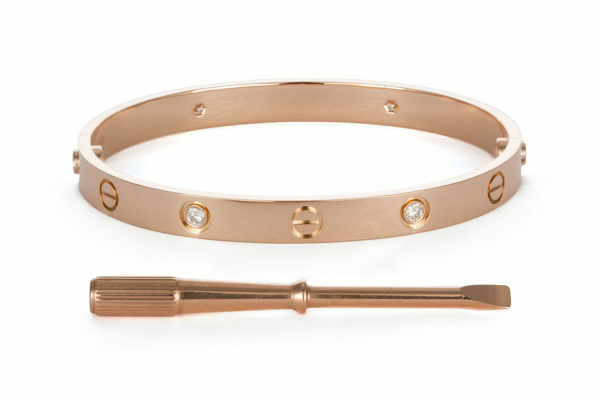 It was originally purchased in October 2017 and features the new style screw system. 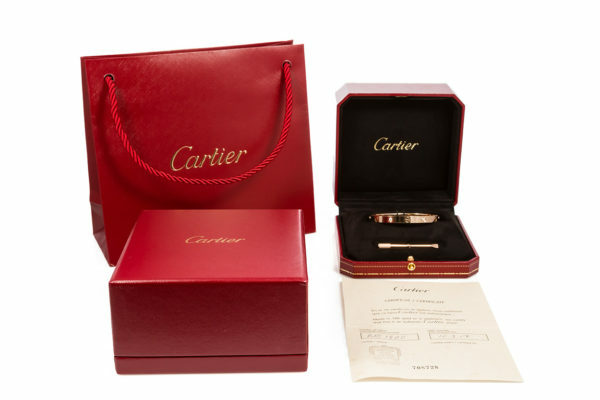 It comes complete with it’s original factory screw driver, Cartier inner and outer boxes, Cartier certificate and Cartier gift bag. 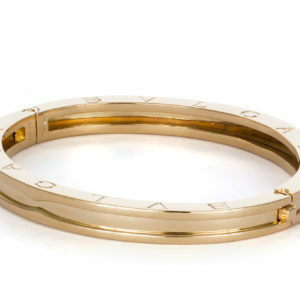 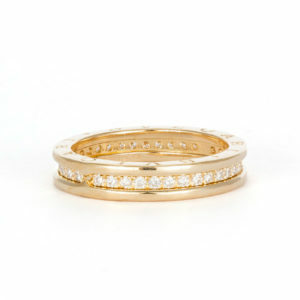 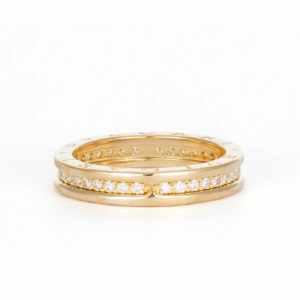 The bangle is in very good shape and show minimal wear. 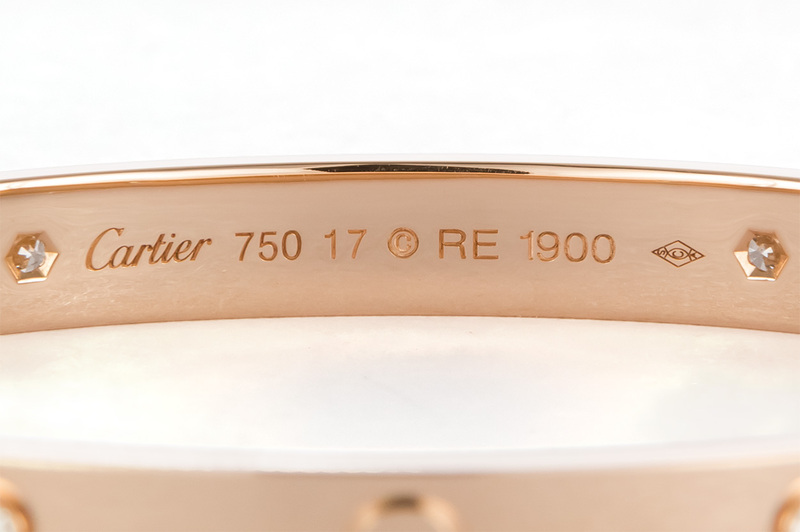 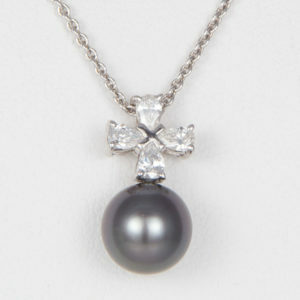 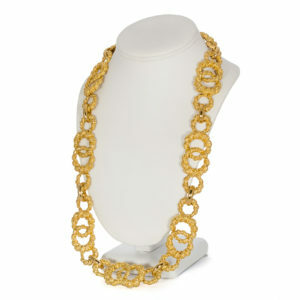 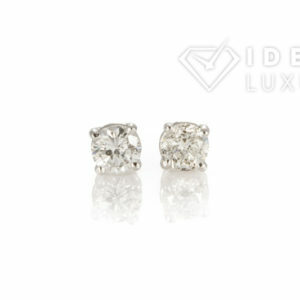 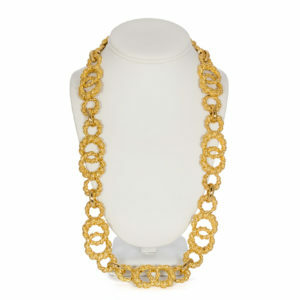 It was recently polished by our master jeweler.